The Black Hole Initiative (BHI), a first-of-its-kind research initiative based at Harvard, brings together the world’s top scientists and philosophers to explore nature’s wildest enigmas: black holes. Few objects in the known universe boggle the mind like a black hole. Our equations describing how the rest of the cosmos operates break down inside these incredibly dense objects, where gravity is so strong that not even light can escape. An effort funded by the John Templeton Foundation now aims to untangle the many enigmas posed by black holes. Based at Harvard University, the Black Hole Initiative (BHI) convenes astronomers, mathematicians, physicists, and philosophers in an unprecedented, interdisciplinary workspace. A three-year, $7.2 million grant from the Templeton Foundation will help BHI explore new, cross-disciplinary ways to study black holes. The fund will support several activities, including visits from scholars; weekly seminars; an annual conference; and public engagement efforts, including a 70-minute documentary film, short video clips, a website, popular media articles, and more. 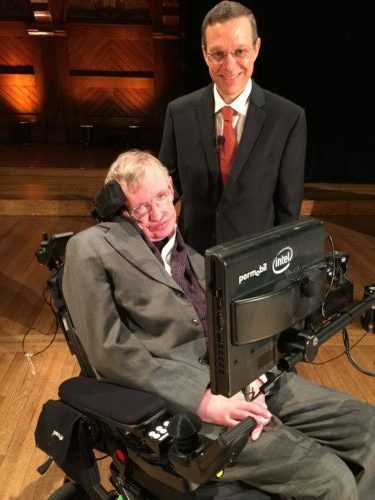 Taken together, the activities are intended to expand awareness and appreciation for the scientific and philosophical challenges that black holes present. The creation of BHI in September 2016 came at an auspicious time in the study of black holes. Exactly a century had passed since Albert Einstein’s general theory of relativity allowed for the theoretical existence of black holes. As if to mark that centenary, the first direct detection of gravitational waves — ripples in the space-time “fabric” of the universe — unleashed by the merging of two black holes was made just a few months earlier by an experiment called the Laser Interferometer Gravitational-Wave Observatory (LIGO). On LIGO’s heels came new observational data from the Event Horizon Telescope (EHT), a project at the heart of BHI. EHT is a globe-spanning network of radio telescopes acting in concert as an “Earth-sized, virtual telescope,” says Doeleman, the project’s principal investigator. Starting in 2017, EHT aims to capture previously impossible-to-discern details of the supermassive black hole at the core of our Milky Way galaxy. These include the dark “shadow” it theoretically casts against a surrounding ring of gas and dust, luminously heated to millions of degrees as it spirals into the black hole’s maw. Explaining the fate of the material swallowed by a black hole is just one of the knotty interdisciplinary challenges that BHI’s participants will tackle. According to the laws of quantum mechanics, certain information about any given physical system must be preserved. Yet this information about the material captured by a black hole could theoretically be destroyed as the black hole gradually evaporates over time due to a type of radiation proposed by the physicist Stephen Hawking. “This ‘information paradox’ is a headache for both physicists and philosophers,” says Dr. Abraham Loeb, chair of Harvard University’s astronomy department and BHI project co-leader, who initially wanted to pursue philosophy as a career. Loeb, Doeleman, and their colleagues (Ramesh Narayan, Andrew Strominger, Shing-Tung Yau, and Peter Galison) hope to leverage the various activities at BHI to establish a permanently endowed Black Hole Center at Harvard later this decade. 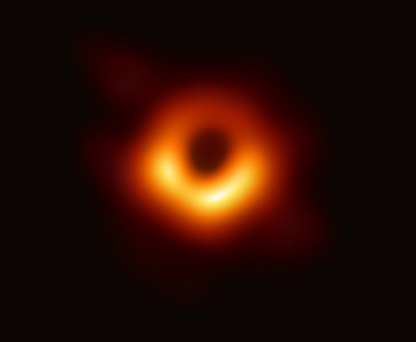 “Our goal is a Black Hole Center that continues for many years and attracts the best scholars in the world that are interested in black holes,” Loeb says. 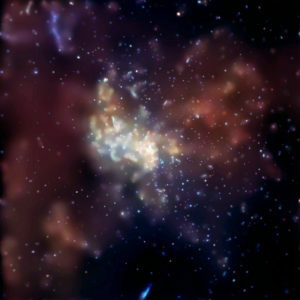 Learn more about the Black Hole Initiative here.